Lyndon Johnson's Programs Research Papers delve into the policies that were created during the Great Society era were successful. A widespread appeal that provided assistance for many groups of American citizens. Lyndon Johnson's policies were successful for many reasons, but its acceptance by the American public was largely due to its aim to prepare able-bodied, economically disadvantaged people to go to work. 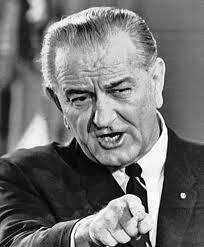 A key element of Johnson's war on poverty was his announcement that "the days of the dole in this country are numbered". In other words, Johnson's Great Society was designed to provide short-term assistance to the able-bodied poor in order for them regain enough economic stability and escape poverty. This belief was supported by the New York Times, which claimed that the ultimate benefits of Johnson's policies would be gained through "the long-term reduction of the need for government assistance". While many conservatives have declared Johnson's war on poverty and its policies a failure in terms of eliminating poverty, other]s point to its clear success. For example, from 1963, when Johnson became President, until 1970, when the impact of his Great Society programs were most apparent, the percentage of Americans living below the poverty line dropped from 22.2 percent to 12.6 percent, which was the largest decline in poverty in America during the twentieth century. Based on poverty levels prior to the implementation of Johnson's anti-poverty policies, there would be 24 million more Americans living below the poverty level in 1999. Another reason for the success of Johnson's policies was his administration's effort to change the role of the federal government for millions of Americans. During his administration, Congress enacted more than 100 major proposals, changing the public's perception of government from to neither a "bad man to be tarred and feathered nor a bag man to collect campaign contributions, but an instrument to help the most vulnerable in our society". However, the strong state of the U.S. economy also played a major role in the success of Johnson's anti-poverty policies. Because the thriving economy offered many people excellent opportunities, including a 1964 tax cut, which made many Americans willing to share the wealth. How Poverty Affects School Aged Children - How Poverty Affects School Aged Students Research Papers look at a sample of how to place an order that needs two separate papers. America's Longest War - America's Longest War Research Papers look at a book by George Herring about the Vietnam War and the United States involvement. Jim Crow Laws - Jim Crow Laws research papers discuss the law that imposed severe restrictions on African Americans, including limits on their individual rights and strict segregation laws. Democratic Party - The modern Democratic Party embraced Civil Rights, and established Medicare under Lyndon Johnson's Great Society program. Inaugural Address of Lyndon Johnson research papers discuss Lyndon Johnson taking the oath of office after Kennedy's assassination. All papers from Papers Masters are original and unique. US Department of Education - US Department of Education research papers discuss the focus of the department, which is on ensuring students have access to education and equal opportunities to excel and achieve educational excellence. Primary Education - The decades of the 1960s and 1970s were marked by great changes in values and traditions; it was during this time that the War on Poverty took root. Poverty and Education - Poverty and Education research papers discuss how poverty can impact an individuals education. Poverty and Crime - Poverty and Crime research papers discuss the affect that poverty has on crime. Poverty Affects School Aged Children - Research papers on how poverty affects school aged children is a sociological or educational topic that is interesting to explore in a written study. Paper Masters writes custom research papers on Lyndon Johnson's Programs and delve into the policies that were created during the Great Society era were successful.